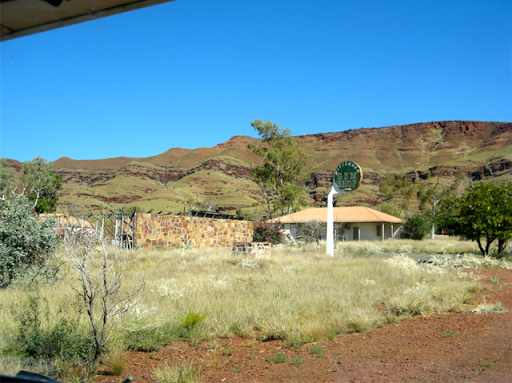 So we left Mt Robinson campsite heading north towards Auski Roadhouse, now renamed Munjina Roadhouse, and then west towards Tom Price another important mining town in the Pilbara. 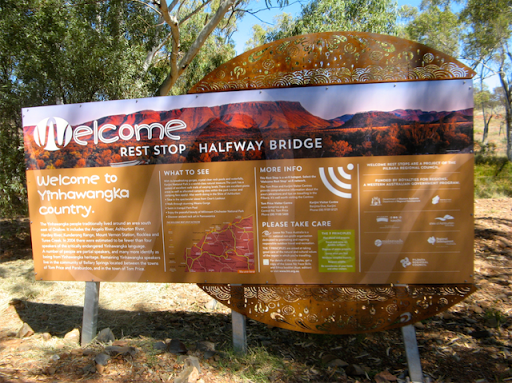 The Great Northern Highway passes through the magnificent Munjina Gorge after which the Auski Roadhouse is now named and there is an excellent lookout/camping area at Togloninni, named for one of the surveyors of the route though the hills. 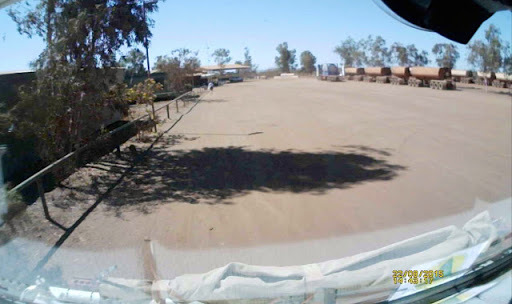 Auski/Munjina Roadhouse is real Aussie icon, with a forecourt as big as the MCG and parking for dozens of 4 trailer road trains, and you wouldn't believe the dust they can make at even 0.001kph with their 86 wheels. 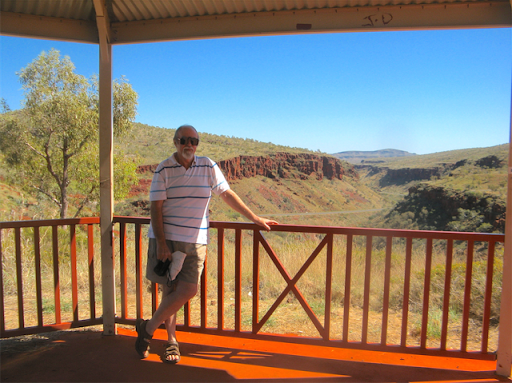 From there we could have headed for Tom Price via the Karajini National Park but we've done that twice before and although the gorges are spectacular, it's usually packed with French and German backpackers in "Wicked" campervans. 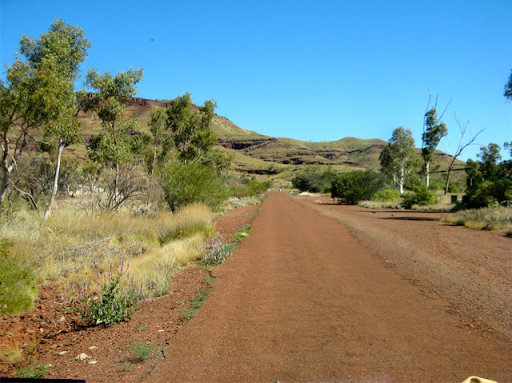 So instead we took an equally scenic but less travelled and partially gravel route west from Auski Roadhouse which runs north of the Hamersley Range via Wittenoom. 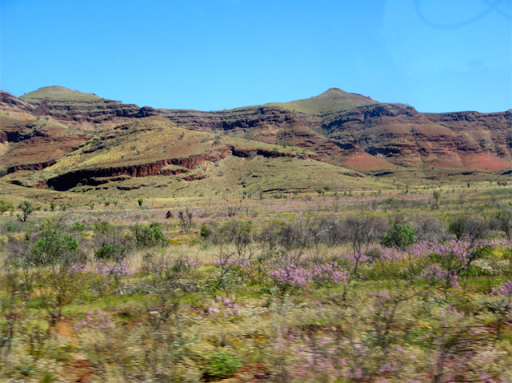 The approaches to Wittenoom look spectacular to the south. 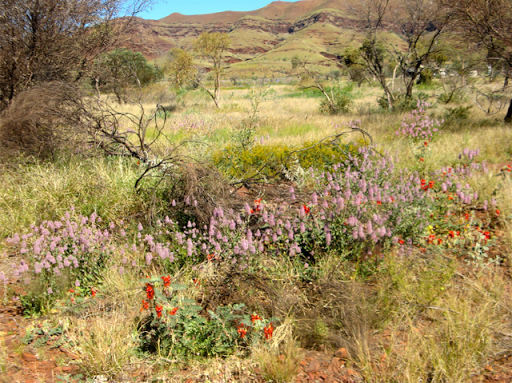 Wittenoom has some very nasty connotations as the source of asbestosis amongst its miners and their families. What remains is now a ghost town stuck in a 1970's time warp with mostly abandoned streets, shops and houses, with all their possessions, cars, children's toys etc. still left where they were last used. There appears to be a very few hardy (excuse the unintended and bad taste pun) residents remaining although how they scrape a living is a mystery. Ironically, Wittenoom Gorge is reputed to be one of the most scenic in the range but access, whilst not restricted, is certainly not recommended with dire warning signs posted along the highway warning of the perils of asbestos, and if you enter the gorge there are signs with skull and crossbones on them strongly recommending the used of breathing apparatus if venturing further. We aren't that stupid of course and didn't go past those signs, we just did a loop around the abandoned township and out again. We had met a Kiwi at Jupiter Well who had gone into the gorge and confirmed its scenic beauty, but he wasn't worried about asbestosis since it takes 20 years to develop and he didn't think he had that long anyway. Further on and we come back into mining territory. However the scenery remains much the same. 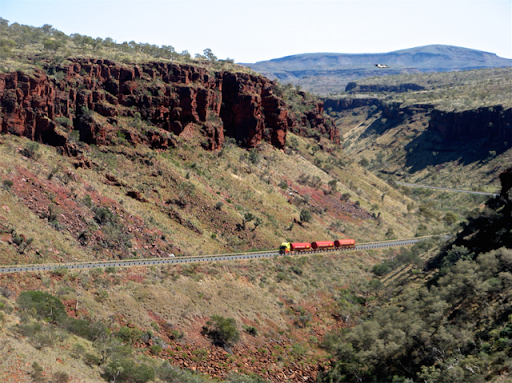 The Rio Tinto Gorge is a narrow single lane winding track though some steep sided hills. ("Call up on Channel 40 to announce your presence"). Several years ago we were alerted to an unadvertised camping area used occasionally by mining people which we also called Rio Tinto Gorge since it's just past the real gorge. 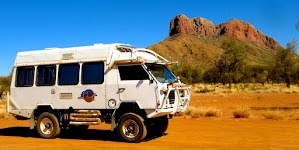 It's nestled in a beautiful bush setting of spinifex and snappy gums, and although huge mining roads are replacing the small outback tracks, the camping area remains secluded and untouched. Even has a 5 bar Telstra service. So of course that was our campsite for the night. From Rio Tinto Gorge it's only 100km or so to Tom Price, a pleasant green town with all the facilities an outback mining town should have, footy oval, RSL club, a small row of shops, hospital and police station. However, being a Sunday, and being in WA, everything was shut, even the public loos. It pays to plan ahead in WA towns. It did have the obligatory ore truck though. Fortunately they hadn't turned off the water supply so we refilled our tanks, drove around the green town and headed south to Paraburdoo. It's not the shortest route west so we've never done that before but it was a really pleasant scenic drive. A bitumen road and even better the Halfway Bridge rest area alongside a waterhole about 50km south with, wait for it, a free WiFi service! Never seen that before in a remote location, and it worked, I tried it. So that was today's lunch spot. 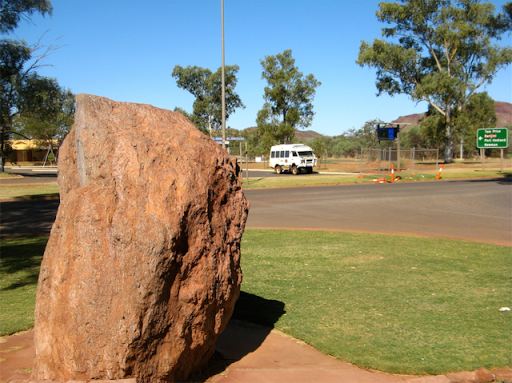 Paraburdoo is a neatly laid out town with streets on a grid pattern and also quite green, with similar but smaller facilities to Tom Price, and in both towns, the huge mining operations are almost invisible from the town, and also still being Sunday everything was shut. 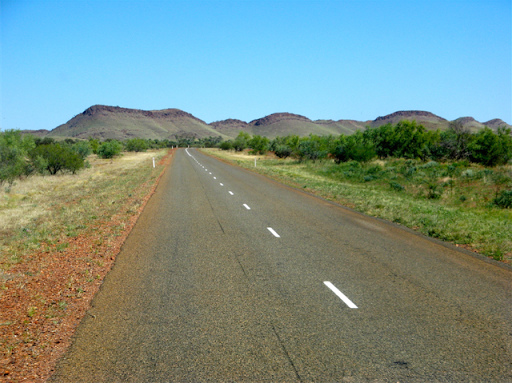 After a quick drive around the town which was notable for its lack of traffic but lots of kids roaring around on bikes, an unusual sight these days, we continued west towards Nanutarra Roadhouse on the North West Coastal Highway, 350km away. 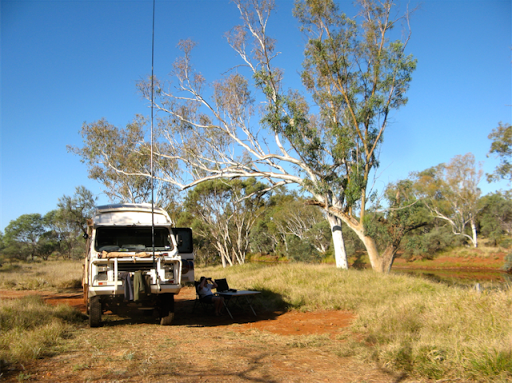 The road parallels the Hardey River for many km and we located a track down to small campsite near a water hole, so we took advantage of it to camp for the night. 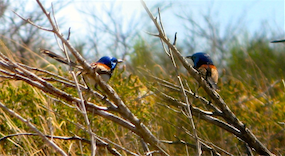 We sat and bird watched for a couple of hours and then while cooking dinner we heard a car arrive. It was a pleasant young French couple who set up camp just behind of us. Bugga, solitude banished, and he even borrowed some supa-glue to mend his shoe. Then another car came down the track, this time 4 young German girls in a Commodore and a tent who parked in front of us, after we had to move our table and chairs for them to squeeze past. Now we were fully trapped. It seems to be a feature of the European character to have to be near people, it's happened to us before, whereas Aussies would never intrude on someone else's space. J thinks its a case of agoraphobia, fear of open spaces. Personally I think is was agriphobia, fear of agricultural machinery. Anyway we managed to get though the night and the visitors were very pleasant, especially in their shorts and tee shirts, but we do value our solitude and space. 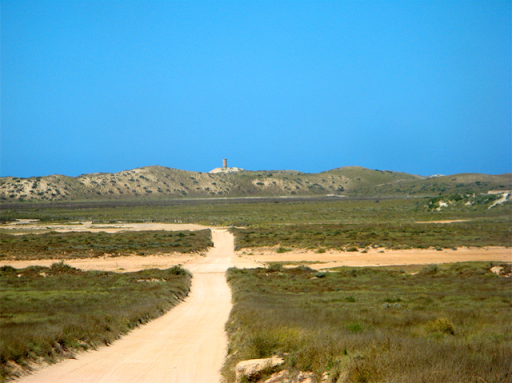 The road to Nanutarra. 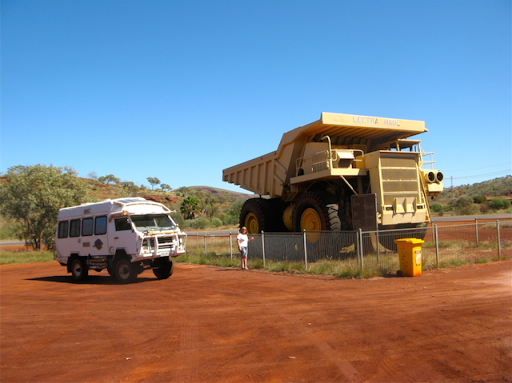 It was a long but pleasant drive with more traffic than expected, then it is a supply route to mining towns. 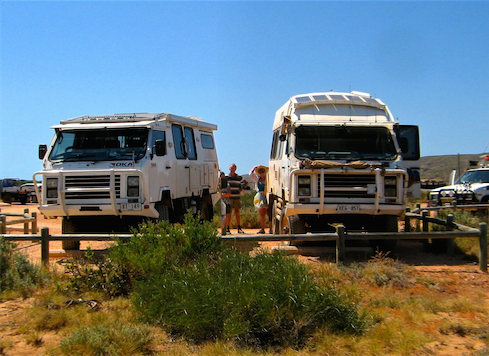 On arrival at the roadhouse, we called Ningaloo Station to check the status of campsites along the beach facing Ningaloo Reef. 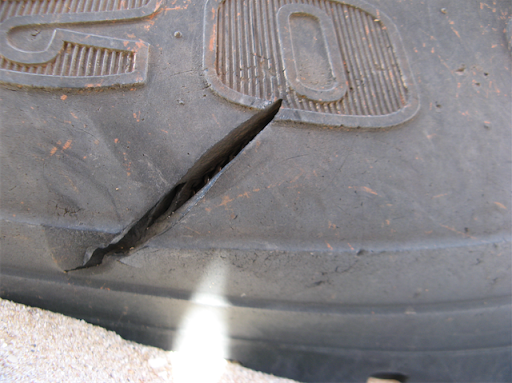 They had plenty, but warned that the drive in was rough and corrugated and we might not get there in one day. 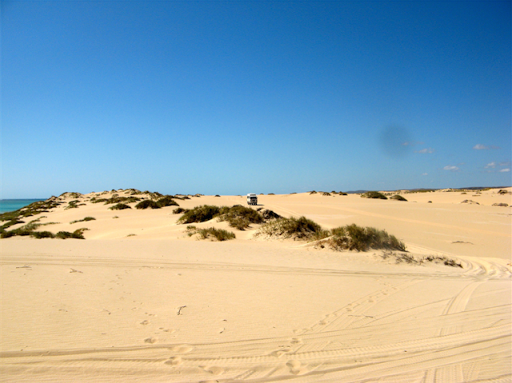 So we checked into Giralia Station Stay for a night, there being no roadside places to camp in this barren, flat area of the country, treeless partly due to frequent cyclones which prevents trees growing more than 2 m high and partly because it's semi-desert anyway. We've stayed at Giralia Station before (and also the very similar Bullara Station nearby) and it hasn't changed. 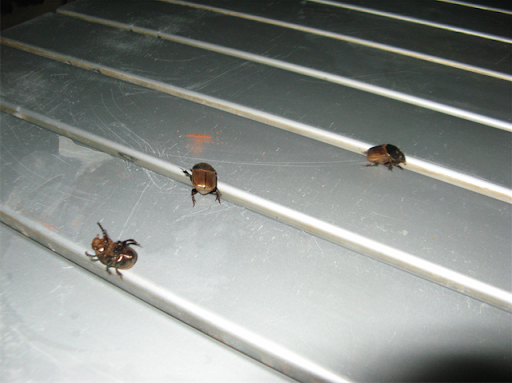 It was cheap ($20), dusty but very average and our evening's entertainment was watching the antics of beetles as they launched themselves at any light coloured object and then lay on their backs for ages, gasping and trying to right themselves. 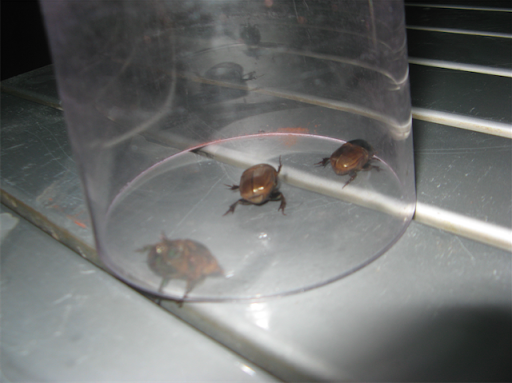 We captured 3 of them and watched them under a glass trying to escape. Strangely when I removed the glass they stayed much as they were, apparently unaware of their new found freedom. Such was our stay at Giralia Station. 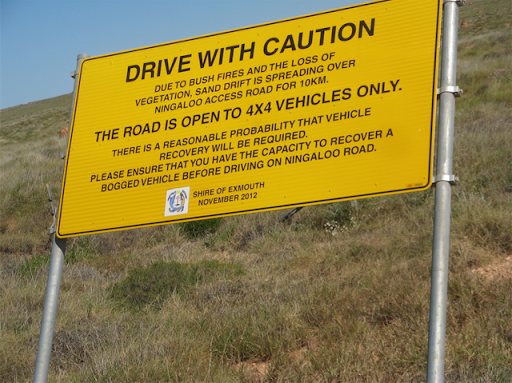 We arrive at Ningaloo Station. 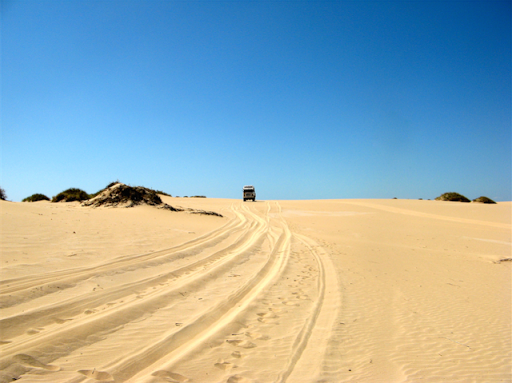 And they were right, the track in, which is owned by the local shire, was diabolically bad, very rough limestone and corrugated sand. The 32km took well over an hour and then we had another 12km up the coast on a similar track to the campsites around Lefroy Bay. 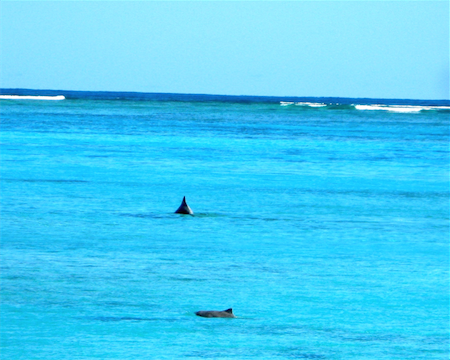 But the welcome sight of the blue/green sea and the waves crashing on the reef one km out to sea made it all worthwhile. 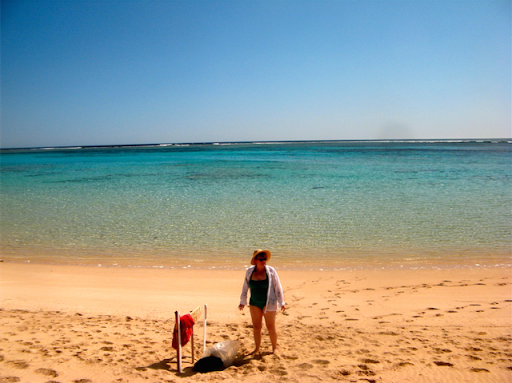 For the next few days we didn't move, except to walk up and down the beach, swim and snorkel on the coral which was close to shore and watch the wildlife. We've seen turtles, whales breaching beyond the reef, a couple of dolphins cruising against the flow of the water in the lagoon and a seagull, actually lots of birds, cormorants, pelicans, plovers, finches, and several other species hitherto unknown to birdie science. Janet who was previously not a good swimmer has really mastered the art of snorkelling without drowning. And I have almost mastered the art of putting flippers on without falling over and looking a total clown. 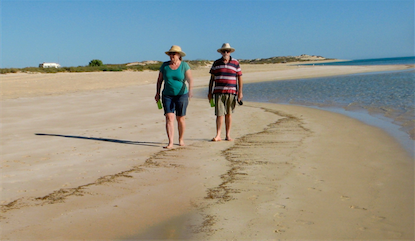 Doing the Titanic: "My Dog Will Go On"
Tomorrow (31 Aug) we'll pack up and leave Ningaloo Station after 6 days relaxing on the sea shore, for the heady delights of Exmouth. We've done about all we can do here and we are running low on essential supplies, although we do have enough cake for another month. 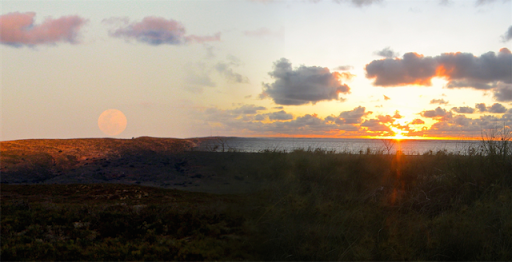 Then we have 4 days camping booked in the Cape Range National Park where the facilities are better and the coral is much more abundant and easier to access. There are also different sights to see if the weather or conditions are not clement. Here, with the tracks so rough, there's not much else to do after swimming, snorkelling and walking (and eating and drinking of course). 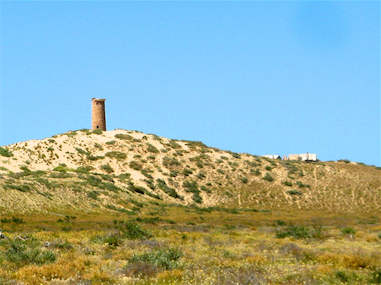 Exiting Ningaloo Station was as slow and corrugated as the track in but we did get to see the old lighthouse high on a hill/sand dune. It was in use until an earthquake destroyed the lighting section in 1931 and was replaced by an automated system. 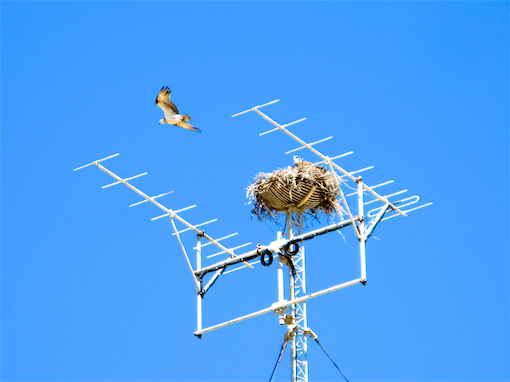 At Ningaloo Station homestead, where we called in to collect our bond money for the camp area key, a pair of sea eagles was nesting on the top of a tall communications tower. Ningaloo Station is a leasehold property of 50,000 hectares of sheep and goat farming, owned by the Lefroy family for the past 80 year. 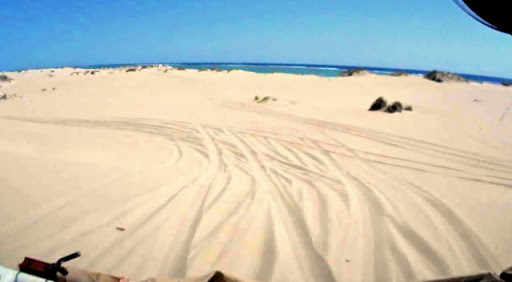 With 50km of frontage on to beautiful Ningaloo Reef beaches, the WA state government is attempting to excise the Ningaloo reef section to create some sort of tourism venture and despite a written undertaking from earlier state governments not to do this, they have now refused the grant the leaseholders a renewal of the lease, which has just expired. There are fears that government ownership of the coastal strip will ruin the current beachside camping venture built up by the Lefroy family over many years, with access restrictions, higher costs and tourist “facilities” which current users don’t want or need. Having been there for 6 days I can see the attraction of this unspoilt and undeveloped section of coastline, one of the few left in the country still in its pristine state. A high court challenge is currently underway to prevent the WA government from proceeding with it’s high-handed plans, and the leaseholders are fairly confident in the outcome. Goliath doesn’t always win and anyway, the cash strapped WA government may not be able to raise the cash to either defend the high court action or the fund the tourism development itself. Let’s hope the judiciary see the unfairness in the situation and come down on the side of sense based on the prior undertakings, and what’s best for the environment, not government heavy-handedness. After the legal discussion, we drove up to Exmouth to do some necessary shopping and then around the tip of North West Cape to Yardie Caravan park to use their laundry. 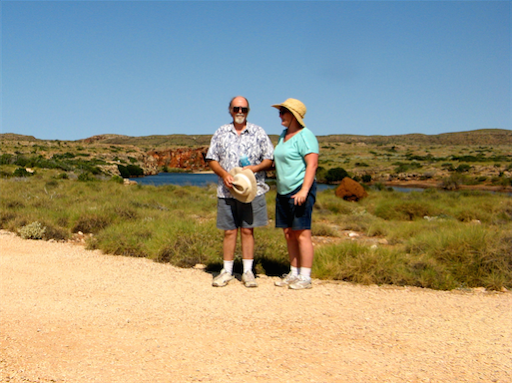 We’d stayed there before and it was quite friendly and satisfactory and close to the Cape Range National Park where we’d booked four nights from tomorrow. We set up our $2 bargain pack of 2 plastic Chinese mouse traps behind the vegetable drawer, where we thought the mouse may be residing, baited them with some stale bread and went about our business. Maybe because it was the last day of winter or possibly due to last night’s perigeion moon, either way I made a bit of a boo-boo later on, and it was most embarrassing. Did I really come into the ladies loo? What sort of offence had I committed? They started gabbling on in Franglais while splashing and showering and cleaning teeth, going to the loo etc, and all I could do was keep very quiet and wait until they’d all gone. But then someone else came in and chatted so there was another delay. Finally, after about 3/4 hour, things quietened down a bit and I slipped out past a girl still cleaning her teeth, only to find that the other person who came in had been Janet. She was wondering where I had got to and came to check on me. She had a great and continuous laugh at my expense once I blurted out my error and I shall never mis-visit the communal ablutions ever again (or at least never tell anyone). First day of spring and having made tea, cooked the breakfast, put the bed away, done the dishes etc, I was accused of calling Janet a harridan because she wanted the shirt off my back for washing. Well, after consulting a thesaurus, I discovered that the words “shrew, virago, harpy, termagant, ogress, gorgon, martinet, tartar, spitfire, battleaxe, witch or even an Xanthippe” could also have been inferred, when all I actually meant was that I’d be cold with no shirt on. I shall be more careful with my choice of vocabulary in future in the company of English teachers, but I think things are more even now? Our mouse never made an appearance or hearance during the night and the traps were unsprung this morning, so we assume that the rough tracks from Ningaloo Station were too much for it and that, plus the access denied by our plastic boxes, caused the mouse to decamp for easier pursuits. After the purchase of a $4.90 loaf of frozen bread from the CP shop, we checked in at the National Park. If you keep records of such things we were in Site 10 at Tulki Beach camping area. 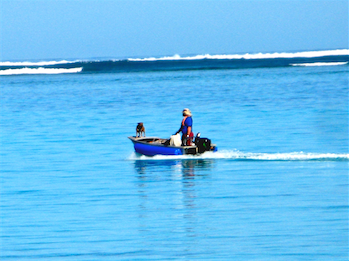 We set up our extensive camping site, involving erecting the table and 2 chairs, and went for a snorkel at Oyster Stacks, one of the best places to see coral and fishes, but only around high tide since it’s rocky and difficult getting in and out of the water at other times, and fortuitously we had arrived at high tide. Very windy today and for the past few days. We even had to don jumpers and leggings for our happy hour with the other motley collection of fellow campers. And those campers numbers were tripled by the late arrival of a bus load of teenagers on a school trip. Lots of noisy giggling big-breasted school girls and lanky youths plus a few teachers/leaders. Rather them than me. Girls tents to one side, boys tents to the other and teachers tent in the middle. Yeah, right, as if that’s going to make a difference. Puts some pressure on the single loo though. School kids up early and off in the bus for snorkelling, sightseeing or I don’t really care what, at least solitude has returned, until they do tonight. 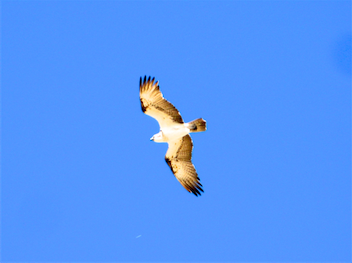 Like a flock of corellas, raucously noisy in the morning and evening, but silent during the day. 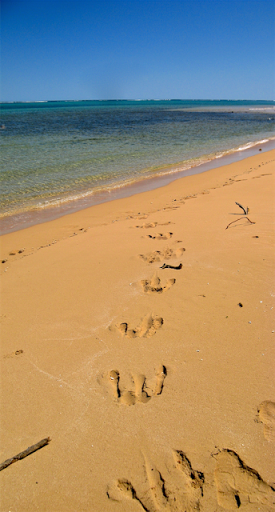 Did a long walk on our beach today (Tulki Beach), not the best looking but plenty of interesting birds, footprints to identify, shells to turn over and things to kick around. 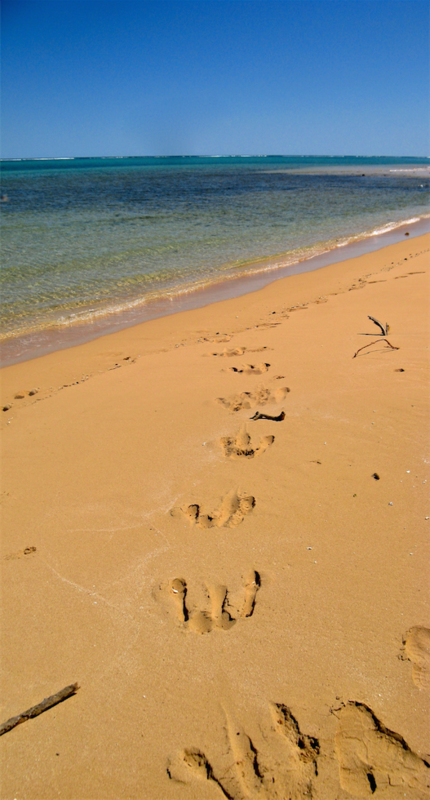 The only foot prints on the beach apart from ours were kangaroo prints. We’ve seen roos on the beach here before, they come down to the water’s edge at dusk and seem to nibble the algae off the stones and rocks, must taste like a mouthful of soy sauce. The wind has dropped a bit today and it’s a bit hotter, so sun-block and hats for tonight’s happy hour. We did a visit to the visitor centre, which is what they’re for, had an ice cream (who said WA’s economy is in trouble? Can’t be at their prices) followed by an exploratory walk into Mandu Mandu Gorge. We planned the full 3km walk for the morning when it’s not so hot and the sun will be behind us. Later we did a nature walk on Mandu Mandu south beach which revealed a lot of clams, crabs and other interesting things in the rock pools at very low tide. But then we had to rush back for happy hour. A very annoying fly got into the car as we were cooking dinner and then out-smarted me by landing on the fly swat. When you’re a fly in danger that’s probably the safest place to land. Calmer, warmer start to the morning, but I still don’t know what we’re doing today. Called in on Channels 1 and 2 on our HF radio this morning since overseas interference (read Indonesian fishermen on our frequencies) was very strong. Got though to Meekathara Base to confirm all was OK. This morning we did the Mandu Mandu Gorge walk/clamber. 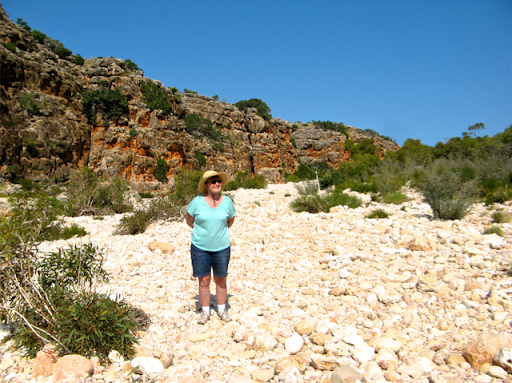 It’s a beautiful area full with billions of glistening white rocks and red cliffs but strangely it was a lot tougher than it looks, more of a rock scramble than a walk, and a lot tougher that the last time we did it. Are there sharper and steeper rocks this time, or are we in some way not the mountaineers we used to be? 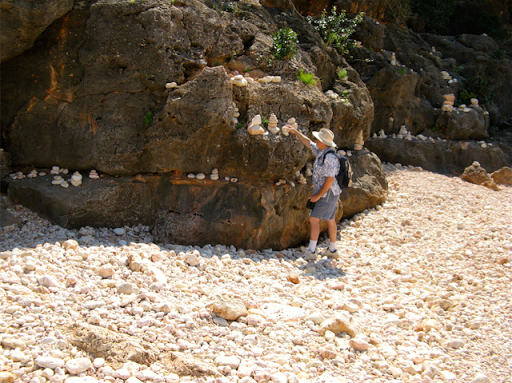 Part way along, successive walkers have created white rock shrines using some of the billions of white rocks and we felt compelled to continue the tradition. After the next big flood, it will all have to start again. Anyway the views of the gorge leading out to the shore as we returned breathless and aching were spectacular. 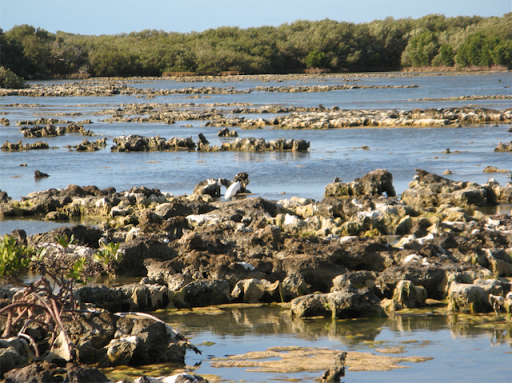 After regaining our strength and lunch, we drove down to Yardie Creek, where in 2002, we came across the dry sand bar coming up from Coral Bay on a coastal track. Right now that same creek crossing is covered by 3m of sea water after some high tides had rearranged the sand bar, which is a regular occurrence every few years. 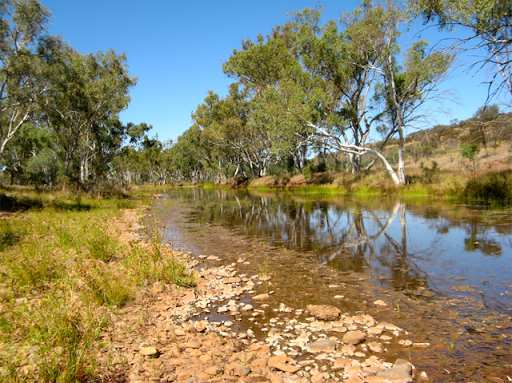 Yardie Creek is a very pleasant little area with some nice walks along the creek, the only creek in the park containing permanent water. 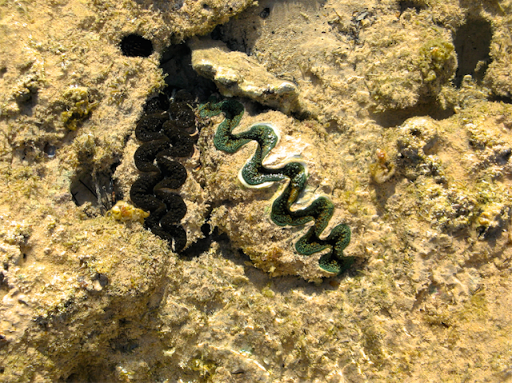 It also contains sharks, stingrays, mangroves and other nasties that take refuge there as juveniles, for protection against larger nasties while they are growing up. They can be trapped there for several years before mother nature rearranges the sand again to provide access to the open ocean. 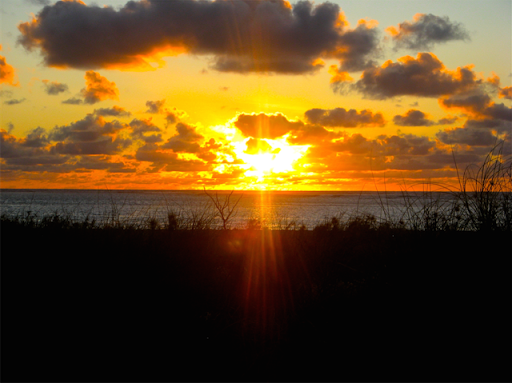 On the way back for a shower and happy hour, we called in at a few other camping areas teeming with 50+ caravans and agreed that we like our exclusive 10 site campsite the best. 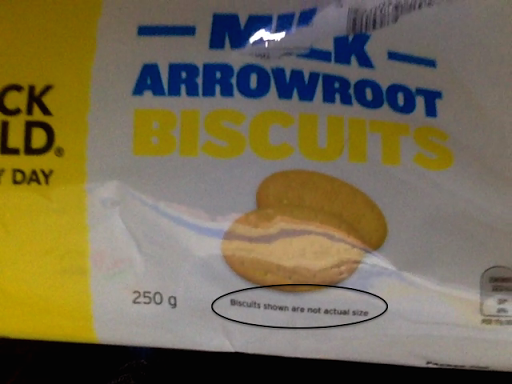 "Biscuits shown are not actual size". I ask you? 4 Sept 2015 Would have been my grandmother’s 133rd birthday today, bless her soul. Found one of Janet’s long hairs in my breakfast Weet-Bix today. Oh, have I not been punished enough in the hair department already that she has to flaunt her surplus hair at me??? This morning while it was cool, I swapped around a couple of wheels, so that a good tyre with a large slash in its side wall (see below) is now on the rear and a worn one with no sidewall damage at all is now on the front. Seems like a safer arrangement. Hard work but it only took about 40 minutes, and with the remainder of the allotted hour, I checked and topped up the rear diff oil. With the best time for snorkelling between mid and high tide (11am to 2pm today), we drove to Oyster Stacks and spent an hour or so drifting over coral gardens of stag horn, brain and fan corals of all hues, large; bright blue starfish; and hundreds of different types, sizes and colours of fish, some close enough to touch. Being just before high tide, there was no water flow to take us off course. When I got out of the water, a man wandered down the beach towards us and said “David Ribbans?” Well how could he know that, being 4000km from home? It turned out to be RIck Whitworth, an Oka owner who I had spoken to a few times and met on our website. He was circumnavigating Australia with his wife Sue and they spotted our Oka from the main road a km away and came over to greet us. He knew we were in the area since they had recently met James, my fellow site administrator in Karratha (who we are seeing next week), who told them to look out for us. He recognised me by my beard from website photos and the fact that we were the only Aussie looking people on the beach, the remainder being French/German /Americans with various degrees of bikini bottom coverage. 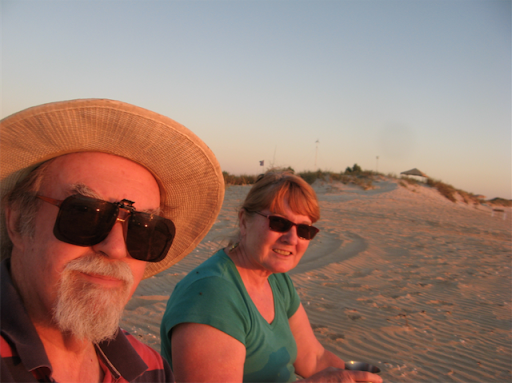 We spent around 2 hours checking out each other’s Okas and talking technical, had a nice cup of tea, took some photos and then Rick and Sue went south to Yardie Creek (their first visit to NIngaloo) and we went north to Mangrove Bay and the Bird Hide. In the bird hide were a couple of young birdie people from a “Wicked” campervan, with 2 ft long lenses on their cameras and who talked about stop numbers, focus lengths and was it a Nankeen or Striated Night Heron? 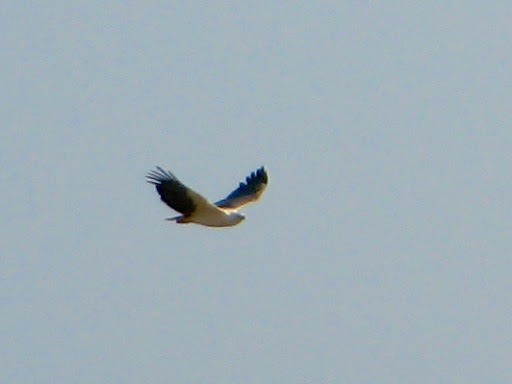 (The correct answer is both, plus Eastern Reef Egrets and a White Bellied Sea Eagle). 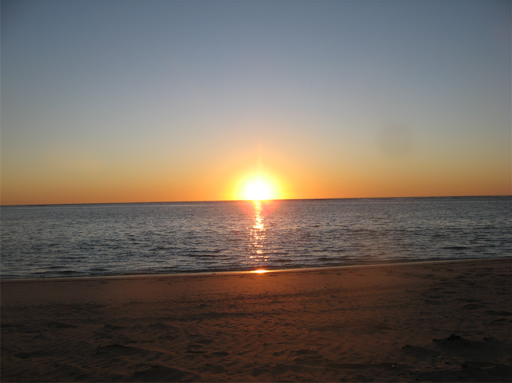 Tomorrow we are departing the Ningaloo area after nearly 2 weeks on beaches and in the water. 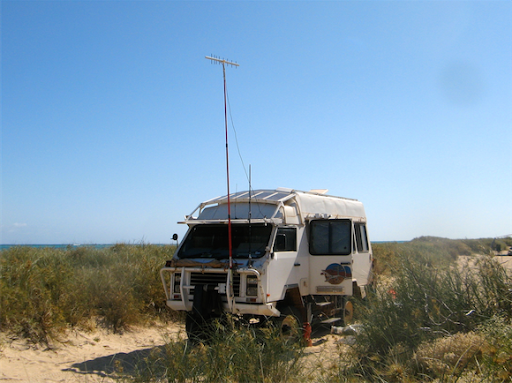 We are now clean enough to venture further north into the Millstream Chichester National Park and on to Karratha and parts even more northerly. 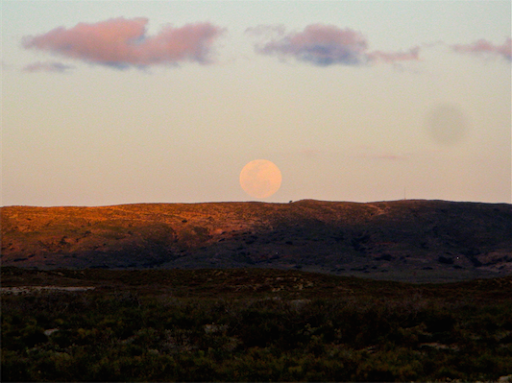 Continue enjoying our blog in the next instalment, Ningaloo Northwards and then Southwards, or the final section, East on the Eyre Highway. Great story, keep it coming and we hope one day to bump into you. Heading north toward Exmouth soon.